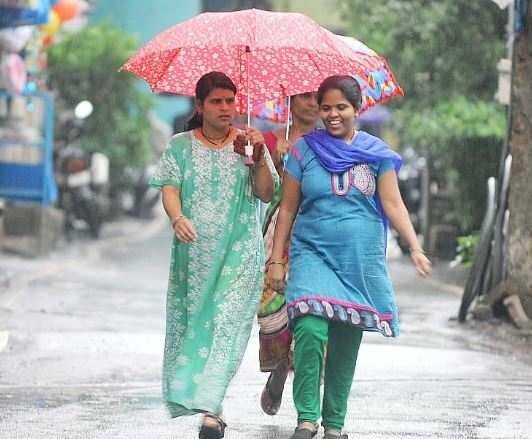 A village in Andhra Pradesh’s West Godavari district put out a bizarre rule prohibiting women from moving around in the village in nightwear during the day, apparently as some men were feeling uncomfortable seeing them in such clothes. As per the rule enforced by the elders of Thokalapalli, a fishermen-dominated village of Nidamarru block, women cannot come out wearing night clothes from 6 am to 7 pm. Those violating the rule would have to pay a fine of Rs 2,000 to the village development committee and those who inform about such women would get a reward of Rs 1,000. The rule, which came into force nearly seven months ago, came to light on Thursday when Nidamarru police sub-inspector M Vijay Kumar, along with local tehsildar M Sundar Raju, visited the village following an anonymous letter to enquire about it. During the enquiry, it was revealed that a few months ago, the village committee comprising nine elders had received a complaint that men were feeling uncomfortable watching some women in their nighties doing shopping, going to schools to drop their children and attending meetings of women self-help groups during the day time. The committee members held a meeting with some women’s groups and brought the complaint to their notice. Apparently, the women agreed to enforce a rule banning wearing of nighties during the day time. Following the decision, the committee carried out a campaign about the rule in the entire village through traditional drum beating. The village has a population of 5,000 people and women constitute nearly half of the total population. One of the village elders Bhale Sitaramudu told the police that the rule was imposed by women self-help groups themselves and men had nothing do with it. “So far, we have not imposed any fine on any woman, as they have been strictly following the rule,” he said. The sub-inspector told reporters that no case had been booked against anybody as there was no complaint from any woman. “We tried to educate them saying imposing any such restrictions on women was against the law. We shall visit the village again and campaign against such rules,” Vijay Kumar said. Noted activist M Devi described the rule as unconstitutional and highly reprehensible. “It is for an individual to decide which dress she should wear. If a nighty is comfortable to her, there is nothing wrong in wearing it even when she moves outside during day time. In the same village, men move around wearing lungis and with bare chest. Is it not uncomfortable for women?” she asked.